Disney Runs in the Family: Heading to Paris? I can't believe the time is FINALLY here! 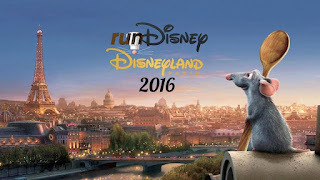 Do you know how long runDisney nuts (like all of us) have been speculating about a Disneyland Paris Half Marathon? It's been years in the making, and the time has finally come to pack our bags and put the final touches on our preparation for this magical vacation. Here are a few important reminders that we have added to our regular packing list. What's #1? Remember to pack your patience!!! I've seen quite a lot of complaining already on social media sites. This is an inaugural event, and remember it's NOT runDisney really running the show. This will be all new for everyone involved. Things will go wrong, but if you just enjoy it for all it's glory, you won't be disappointed. Remember to print and pack your voucher (it was sent via email) and your waiver. You can find your adult waiver HERE and the kids waiver HERE. These waivers are not the same as your medical certificate for those running the half. On that note, don't forget to bring your original copy of your medical certificate as well. Don't forget to alert your credit card company and bank that you will be traveling internationally. If you plan on using your cell phone, be sure to contact them and find the most economical way to be able to do so. I would also recommend getting some cash to work with when you get there. You don't want to land and be stuck finding places to exchange money (you can do this pretty easily at the airport, but let's get real, when you land you are going to want to start your vacation immediately!). You may want to register with the state department. They keep track of everyone traveling abroad and if you need the embassy for any reason, you should be registered. No one wants to think of bad things happening, but I'd rather be prepared. You can do this really easily HERE. You will want to register your whole travel party together, so have everyone's passports ready to go! Finally, don't forget some of those essentials for packing: outlet converters, passport holders, print outs of tickets and reservations (because we're going to try to not use our phones daily), a translator (or app), Also, don't forget to make sure you carry on any essentials You definitely don't want to be stuck in a different country without things like medication or special foods. 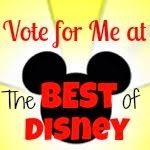 I hope to see some of my favorite runDisney faces in Paris! We can't wait to run this race, visit Disneyland, and make once in a lifetime memories. Anything else we're forgetting? Drop it in comments below! Awesome scene of Disneyland Paris. I have visited once there, It was my best and memorable trip of all time which I will never forget. Enjoy the Trips to Disneyland in Paris by choosing the excited tour package. Disney land is one of the best place to have fun with family and friends. You can visit Davenport vacation rentals if you want to get yourself a property for rent for vacation.